Welcome to Bill Hempel’s Team Edge. Home of the World’s Largest ARF’s. Thank you for visiting our website. We are fully operational and working hard to provide the models you want. We are currently finalizing our next container list of models to be built and brought in. 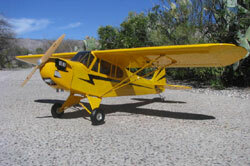 We will be ordering our normal ‘refill’ of models to include the 40% Cubs and L-4’s, 50% Cubs, Yaks and Challengers. We are experiencing some issue with our Tire Supplier and are currently out of stock on all 50% Cub Wheels and replacement tires. We are looking for a solution and a new supplier but still have several sets of 60% Cub tires in stock. The Pitts Biplane is probably one of the most popular and easily recognizable biplane designs of all aerobatic airplanes. 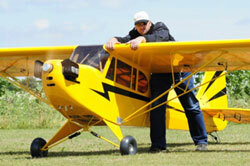 The Pitts Special was originally designed in 1944 and has seen many design modifications and changessince then. The real Piper Pawnee was manufactured between 1959 through 1982. Widely used in agriculture spraying and as a tow plane or tug for launching gliders or for towing banners. 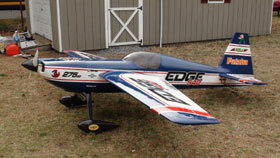 Bill Hempel’s Team Edge now offers 2 size models designed around the PA-25 version. 25%: This smaller Pawnee has a big wing span of 108” and is designed for engines ranging in size from 30cc to 50cc.The Pawnee has pocket hinging on both the ailerons and flaps with standard type hinging on the elevator and rudder. Functional Stainless Steel landing gear will provide great landings with its spring suspension system. Weight estimated at 14-16 pounds. 46%: This airplane has a huge wing span of 198” (16.5’) and a fuselage length of 130”. The Pawnee will accept motors ranging from 150cc through 275cc. One of the unique designs of this model is its 2-piece fuselage! The fuselage can be separated with the internal bolts that hold the front and rear half’s together. This airplane also has a provision for a tow release built into the rear turtle deck. This all plywood and balsa construction come in at a light weight between 65-75 pounds. 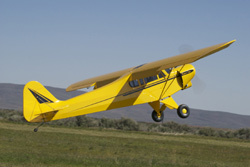 The Super Cub, also known as a PA-18 is basically a Cub that has been put on steroids! More horse power and the addition of flaps and bigger fuel tanks made the Super Cub a great airplane with a wide range of capabilities from cross country machines, glider tow, banner tow and STOL airplanes, agriculture and more. Now we offer this RC ARF in 2 different sizes and schemes, 40% and 60% scale. 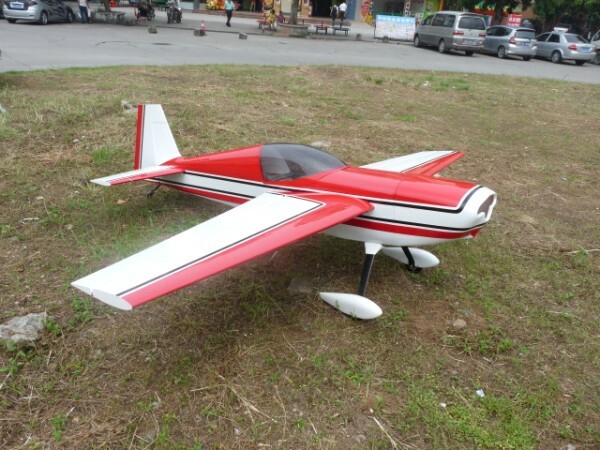 The Grasshopper is one of the easiest War-Bird you could ever fly as an RC model! Now we have (3) sizes for you to choose from, 25% (30cc-50cc), 40% (100cc-120cc) and the monster 60% designed specifically for the 3W-275. 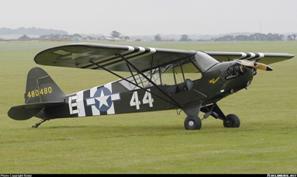 This is the military version of the popular J-3 Cub. The color scheme is and actual scheme of a real war bird. This L-4 has all the rear glass just like the real version. The popular Green and Grey scheme will make this airplane look great on any day of flying. Take this airplane to your favorite war bird fly-in or just have fun with your friends. With the fully functional scale gear, takeoffs and landings are very easy. 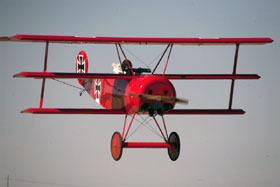 Welcome to the LARGEST WWI ARF in the world: the 65% DR-1. This monster ARF has a top wing span of 16’. This custom ordered ARF can be built to your specification with the choice of several different schemes. Built in typical ARF form, this large plywood and balsa wood model is actually very light and strong for its size. The top wing comes in (3) sections with the center section assembled to the fuselage after initial assembly, then you will have (2) outer panels for your top, middle and lower wings. The real Piper J-3 Cub is a small, simple, light aircraft that was built between 1937 and 1947 by Piper Aircraft. 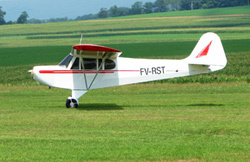 The Clipped Wing Cub was a standard Cub that had its wing shortened for a faster roll rate and better aerobatic abilities. The full scale Cub had a wing span of 37 feet; a clipped wing Cub’s wing were shortened to a span of either 28 feet or 30 feet. 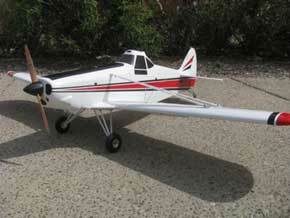 We now offer the Clipped Wing Cub ARF in 4 different sizes 25%, 40%, 50% and 60% scale. Click the ‘Read More’ button's below to make your selection of the proper size Clipped Wing Cub for you. 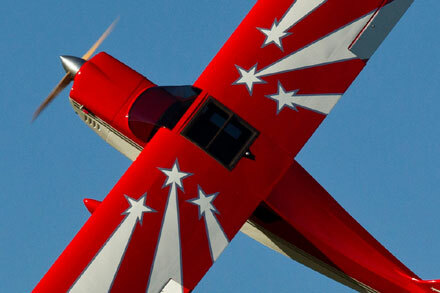 Bill Hempel’s Super Decathlon is a great performing scale aerobatic airplane no matter which size you choose! 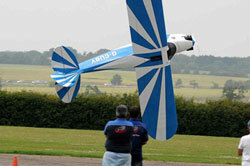 With a fully symmetrical airfoil, unlimited aerobatics can be performed easily. All sizes come with pocket-style ailerons already installed. Tinted molded windows look great and are easy to install. Full hardware kits include wheels, control arms, titanium pro links and hinges. 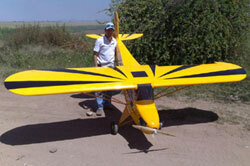 Check out our NEW 25% Xtreme Decathlon with C/F gear and clipped 92.2” clipped wing. This one will be a fantastic performing plane! Order now before they are gone! 25% Decathlon is designed for a 30cc to 50cc motor. 38% Decathlon is designed for the 100cc-120cc engine. 56% Decathlon is designed specifically for the 3W-275. Click to read more information and specifications on these 4 great airplanes. Well, the Edge 540 has undergone an extensive change. The ‘version II’ has been totally redesigned with performance the #1 goal in mind. The fuselage and wings have been redesigned and look very scale, counter balances both on wing and stab the norm now. Carbon landing gear, spinner and wheel pants, and a full hardware pack including push rods, control arms will all be standard equipment! Super lightweight construction will insure the best possible power to weight for this class airplane. 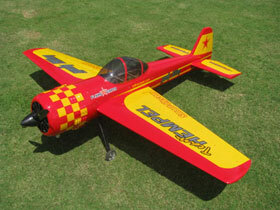 One of the best R/C aerobatic airplanes in history has been the Extra 260. Many TOC competitors and National Champions have chosen the Extra 260 over the newer designed Extra’s, Yaks and Edge’s because of the level of preciseness this design offers. Here is your chance to own a Bill Hempel’s version of this legendary design. 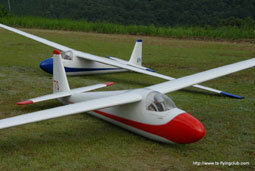 These models are offered in 4 different sizes ranging from 100cc all the way up to 420cc airframes. This ARF includes a full hardware package including wheels, control arms, push rods, and a lot of C/F parts like C/F wing and stab tube, C/F tail wheel and C/F spinner. These models are very light weight, strong and straight. Choose your size below and order today. Another great addition to our lineup of LARGE ARF’s is the 57% Extra 300L. This 300L has been designed specifically for the ZDZ-420cc motor. With a wing span of 15 feet this is really a huge airplane. Hollow core foam wings, C/F wing tube and super lightweight construction makes this airplane a real performer! Pre-purchase is required with a $500.00 deposit. Custom scheme choices available! Need more information? Send me an email! 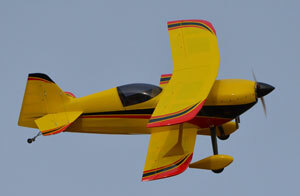 The new AMA weight limit of 125 pounds means……… BIGGER AIRPLANES for YOU!